and respond quickly to emerging threats. Our team strives to make your technology an asset and not a problem. Our experienced in-house consultants integrate technology seamlessly into your business life so your business can grow and thrive. while providing exceptional solutions to fit your needs. We can handle all aspects of your online projects. Responsive Web Design, E-Commerce, Domain Registration, Website Re-Design, Hosting & Servers, Maintenance & Support. 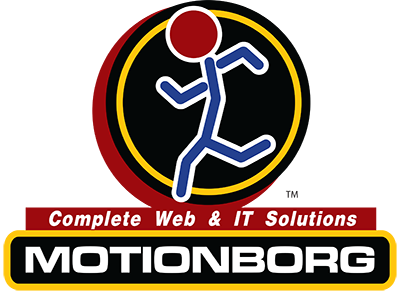 Businesses Choose MOTIONBORG to Handled Their Complete Web & IT Solutions and Services! MOTIONBORG is a Florida corporation with headquarters in Pembroke Pines, founded in 2002. We are dedicated to meeting the evolving needs of today’s ever changing technology by providing IT solutions such as: Enterprise Networks, Network Security, Virtualization, High Availability, Data Management, Mobile Solutions, Web Solutions, VoIP Solutions, Collaboration and many more. Professional IT services: IT Consulting, Managed IT, IT Maintenance, Design & Implementation. Some of our clients specialize in the areas of Engineering, Accounting, Health Care, Legal, Logistics, Manufacturing, Real Estate, Education, and state and local government, not-for-profit, enterprise to small and medium size business across all markets. Our goal is to provide you with superior solutions for the development and expansion of your business. We provide successful services and solutions which only come from partnering, working and understanding the technology of other successful companies. We partner with multinational companies to provide solutions products and services within the US and overseas. Contact us for a free consultation to recommend the perfect IT solutions for your business. To provide quality, time-effective, and reasonably priced computer solutions, products and services in an educational and client centered manner. Since 2002, we have provided superior services and outstanding results to hundreds of customers in South Florida and Worldwide. © 2002-2017 MOTIONBORG, Inc. - All rights reserved.